Loss of use in the hands due to; arthritis, neuropathy, injury, nerve damage, etc. Mental Disorders – depression, PTSD, anxiety, bipolar disorder, etc. A disability attorney or non-attorney representative can’t guarantee that a claimant will be awarded Social Security Disability or SSI benefits. However, a social security disability lawyer can help you properly prepare for your case prior to its hearing date. According to NOLO – 50% of those who had lawyers were approved for benefits compared to 23% of those who didn’t. Additionally, the disability claimants who DO win their claims without the help of a lawyer may not obtain the most favorable “disability onset date,” this may affects how much back-pay you get. What Happens After I File For Disability Benefits? 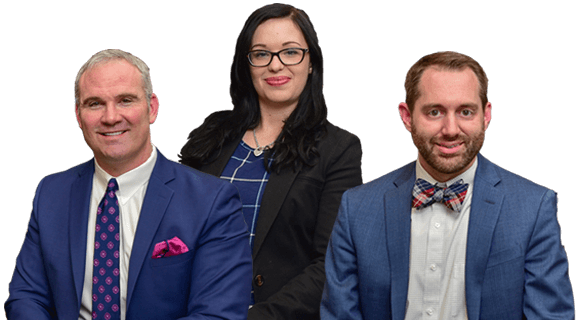 Most people don’t know the ins and outs of the disability claims process like the lawyers at McKellar & Easter, Attorneys at Law, do. When you retain our services, we will help you understand the law and how it applies to you and help you prepare a claim that accurately and effectively describes your need for government assistance. From explaining SSA eligibility requirements to appealing a denied claim, we handle all aspects of your claim. We will take a client-centered approach to your case, meaning we will only do what is in your best interests. Our focus is on you and your family, and we will do what needs to be done in order to get you the benefits you need. Please Read Some of Our Testimonials Below! Devin DeVore is an absolutely amazing person and attorney. I have never had an attorney who was so kind, he handled my Social Security case and called me REGULARLY with updates from where he took the time out of his day to call and check on my case. I had used another attorney prior to Mr. DeVore for 4 years and never received my SS and had know idea the status of my application. When I started Mr. DeVore things completely changed. I was notified of my application status often and I won my case. I give the Lord and Mr. DeVore all the glory. One of the biggest things I truly appreciated about Mr. DeVore is he NEVER made be fell belittled or guilty for applying for SS. I was truly blessed to have the honor to work with Mr. DeVore. Devin Devore is amazing he always contacts me via email or phone with any questions I might have! Always is on top of my Disablity case I do reference him to all of my friends!!! Whether your disability is the result of a catastrophic injury, a serious disease or illness, or a mental health condition, the attorneys at our firm know how to effectively handle your claim for benefits.